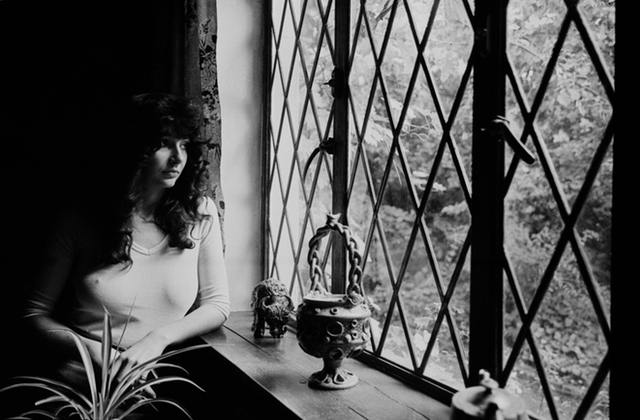 The ethereal Kate Bush, a legendary singer-songwriter whose albums topped the U.K. charts in the 1980s, is as renowned as they get in the realm of popular music. The list of admirers is extensive, ranging from the artists who share the same artistic DNA (like Bjork and St. Vincent), to the figures out in left field (Big Boi? Tupac? John Lydon?). It stands to reason, then, that the promoters at Coachella would pick up the phone if Bush came calling, right? To our initial shock, an article in the New Yorker claimed that Coachella had actually balked at the chance to land the singer. Marc Geiger, a booking agent with William Morris Endeavor, told the magazine that Paul Tollett, C.E.O. of Goldenvoice (which owns Coachella), had turned down the opportunity of a lifetime. “I’ll say, ‘Kate Bush!’ And he’ll go, ‘No!,’" said Geiger. "[And] we’ll talk through it. I’ll say, ‘She’s never played here, and she just did thirty shows in the U.K. for the first time since the late seventies. You gotta do it!" Geiger claimed that, ultimately, Tollett felt that Bush would fly over the heads of the audience, saying that, "No one is going to understand it." So, is this to say that Bush could play Coachella whenever she wants? And that all she has to do is dial that number? Well, there&apos;s a bit of nuance involved. For instance, when Beyonce decided to relinquish her headlining spot at the upcoming Coachella (due to her pregnancy) there was speculation that Bush might be tapped to fill the vacancy. Tollett told the Times that that situation did not present the ideal environment. “That’s not the right place to put her — as a replacement for Beyoncé on a Saturday night. She’s never played in America, and to think that could be arranged in 30 days, that would be impossible,” said Tollett. As Tollett mentioned, Bush has never played in the U.S. And in fact she just doesn&apos;t tour that often; she did a string of shows in 2014, but they all took place at London&apos;s Eventim Apollo, and they were her first live performances in 35 years, reports the New York Times. All in all, it seems that a Coachella appearance for Bush would be unlikely; if the famously private Bush is already averse to playing in the U.S., why would she start with one of the most frantic and hyped-up festivals in the country?